Currently, commercial CDN providers have become major actors in the Internet content distribution chain. They serve a large portion of the Internet traffic since they allow an efficient user-perceived response time and availability of content. 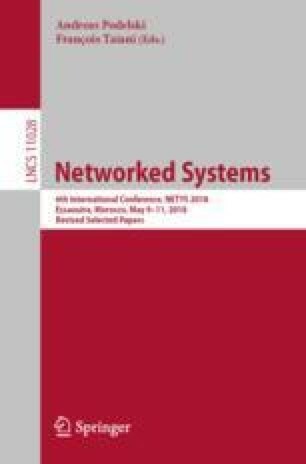 In this paper, we consider an ecosystem that contains content providers CPs as customers of content distribution network providers CDNs. The content distribution network seeks to attract more content providers by offering them prices to save and distribute their contents to end users with better QoS. Thus, the quality and price of the content, which are considered in this study as decision parameters for content providers have an indirect impact on the revenue of the CDN. Once the content of a CP is stored in the CDN content replication servers, the CDN is the delivery manager of this content to all end users’ requests; for this another common parameter is added to our modeling and it determines the share of the CDN that the CP wins requests from users on this content. After formulating non-cooperative games, we have demonstrated the existence and uniqueness of the Nash equilibrium and used the best response dynamic algorithm to make a numerical analysis to the problems. We were able to learn that when the game between the CDNs is socially optimal, the CPs win more and vice versa in the case where the game becomes a monopoly.